DVDStyler is a cross-platform free DVD authoring application for the creation of professional-looking DVDs. It allows not only burning of video files on DVD that can be played practically on any standalone DVD player, but also creation of individually designed DVD menus. Would you like to distribute your product or company presentation, electronic documentation or e-product(s) on a removable storage device such as a CD, DVD or USB stick? You can create autorun CD menu now and publish your presentations, documents, files and software,… on portable media such as CDs, DVDs and USB sticks. Using AutoRun Pro Enterprise you can create an attractive and professional CD menu for your CD or DVD and a front-end menu for your USB stick (USB flash drive). AutoRun Pro Enterprise makes it easy for anyone to create professional looking CD-ROM/DVD-ROM autorun menus. With its easy-to-use visual design environment, you don’t have to know a thing about computer programming. If you can use a mouse, you can create interactive multimedia applications with AutoRun Pro Enterprise. Arafasoft My Autoplay Professional – is one of the most popular and easy tools to create professional autorun menus, interactive presentations, multimedia applications and custom software in just minutes with no programming experience. Use your favorite content such as images, videos, music, Flash, text, buttons, hyperlinks, and much more! The menu that appears when you insert your CD / DVD disc into the drive, lets you launch applications, open documents, play movies, open websites, send emails, work with audio files, and much more. 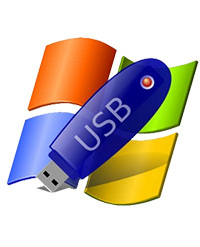 WindowsToUSB Lite is a small and simple software that helps you to create bootable USB from Windows ISO image file or windows DVD or windows source folder.The goal was to create a simple tool to help everyone to install windows from USB pen in one click, with minimal effort. Now available on DVD/Blu-ray Disc™: your own captivating home movies, multimedia photo albums, and music compilations-complete with dazzling menus, special features, and custom soundtracks. With DVD Architect™ Studio software, you can swiftly create professional-looking DVDs, even stunning widescreen productions, on your home computer. Simply drag-and-drop to start building your next blockbuster. My Autoplay Is best suited for creating autorun menus, interactive presentations, multimedia applications, software CDs, CD catalogs, CD presentations, CD photo albums, slide-shows, E-Books, CD business cards and promotional CDs. It is an essential tool for software companies, retailers, photographers, designers, marketing and PR professionals. But you can use this tool at home as well to create family – wedding albums or home videos. Avid collectors may use this tool to create a CD catalog of the items they possess, search for, or would like to exchange with other collectors. Is very user-friendly and easy to learn less than 10 minutes to understand it. Powerful WYSIWYG designer, easy to use without training. Test without burning to disc. Comes with a large number of templates. Protect menus from changing the password.